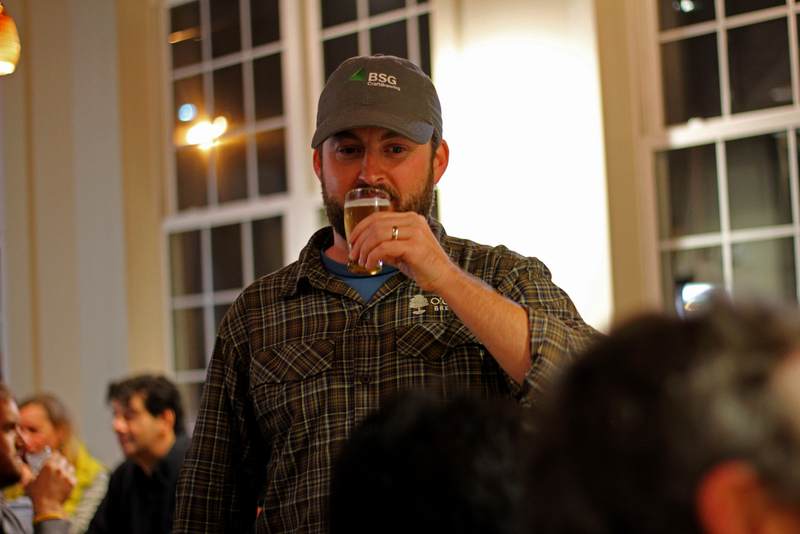 The Porch, Whole Foods Virginia Beach's beer and wine bar, holds a beer school every Thursday. I've always meant to go to one, but my schedule didn't jibe with theirs and I heard it was always jam-packed. A little while back they started to limit the attendance to keep things under control. This past Thursday worked out perfect for me: I had the next day off, Chayce (my son) was available, and Kevin O'Connor from Norfolk's O'Connor Brewing Company was going to MC the event. O'Connor Brewing Company wasn't the first craft brewery in Hampton Roads but when they opened over three years ago it proved a micro-brewery could be successful in the area. Since then, there have been several new breweries established in Norfolk and Virginia Beach. Kevin introduced a few of his beers to us, my favorite being the Bells Beach Galaxy Saison. We had the Norfolk Canyon, Great Dismal Black IPA and the El Guapo Agave IPA. While we were there Chayce and I split a dozen oysters. We bought 6 Battle Creek Oysters from Chincoteague, VA and 6 Blue Point Oysters from Connecticut. Delicious, I was favoring the Blue Points, big, meaty, and juicy. After the tasting Kevin walked around the room to talk to the patrons and answer any questions they might have had. It's always nice bumping into him, we chatted a little bit and took some photos. I had a good time. Check out O'Connor Brewing Co. if you're ever in the area.